At Lucindaville, we love food. We talk about food, we write about food, we eat food. Sadly, we seldom think about all those people who think about food because they do not have enough food. In America, the number of people who go to bed hungry might surprise you. In fact, if you were to really think about it, you might just be shocked. So think about it. Take a look at your neighbor, or your gardener, or the eldrely couple down the street, or the kid your children bring home. Ask yourself if they have food in the fridge. The answer might suprise you. * Feeding America's nationwide network of food banks is feeding 1 million more Americans each week than we did in 2006. * Thirty-six percent of the households served have at least one person working. * Feeding America food banks provide food and groceries to 33,500 food pantries, 4,500 soup kitchens and 3,600 emergency shelters. * 68 percent of pantries, 42 percent of soup kitchens, and 15 percent of emergency shelters rely solely on volunteers and have no paid staff. * 55 percent, are faith-based agencies affiliated with churches, mosques, synagogues and other religious organizations; 33 percent are other types of non-profit organizations. 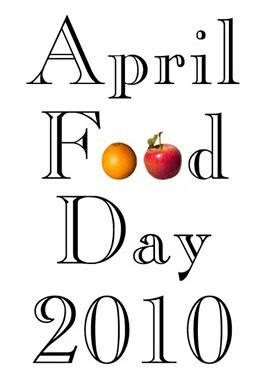 For more info, check out the April Food Day blog.